Although there is no cure for dementia and Alzheimer’s, care and support for individuals are critical to maintaining a high quality of life. One of the most important factors in caring for someone with memory loss is helping them to feel safe and loved, and what better place than in the comfort and familiarity of their own home. Caring for someone with memory loss presents many physical and emotional challenges. It’s important for family caregivers to know that there are options for memory loss care that don’t involve removing your loved one from their natural surroundings. North River Home Care is an ideal alternative for families who need support and respite in caring for a loved one with dementia and Alzheimer’s. Our home health aides have been specially trained to help clients with Alzheimer’s and other forms of dementia maintain as much independence as possible, and in the most dignified manner. Our Associate Director, Laurel Lawson, is a certified Alzheimer’s Association Care Consultant who holds a “Train the Trainer” certificate from the Alzheimer’s Association. She is responsible for training our caregivers about the disease and its related behaviors and challenges. Beyond our in-house training, we also collaborate with Alzheimer’s specialist Beverly Moore, founder of StilMee, to provide our caregivers with an extraordinary training program. Caregiver Connection Support Group—Monthly support group by a StilMee Alzheimer’s Coach to stay current on new ideas, techniques, and support methods. Our personalized Alzheimer’s and dementia home care services can help your loved one remain independent for as long as possible in the comfort and security of home. 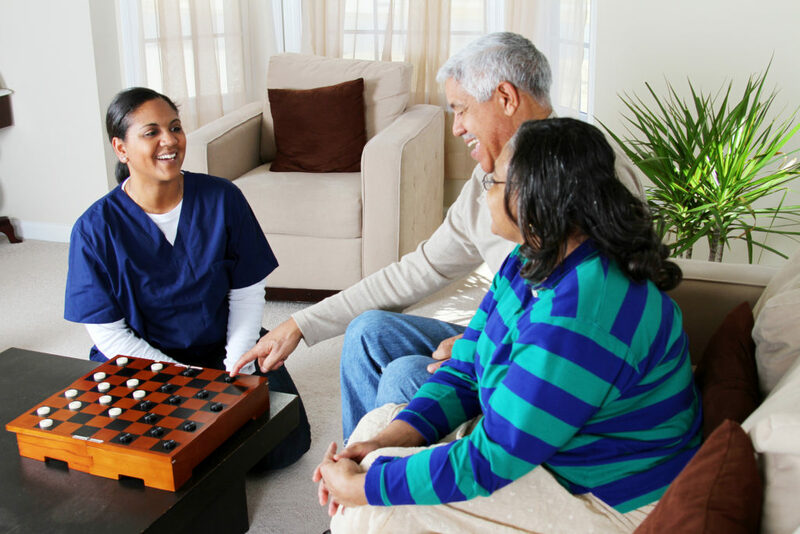 These services also provide the respite care you deserve as a family caregiver.